The recent geological history of the Geopark has been has been one of erosion, with prodigious amounts of rock removed from the land surface and carried away to sea. The drainage systems, the main conduits for the evacuation of rock material from the landscape have changed dramatically through time. Today’s drainage is to the Bristol Channel, largely via the River Severn and its tributaries, but this was not always so. The earliest drainage may have been to the east and south-east. But mid Tertiary tectonic activity together with relentless denudation and gradual revelation of older rocks and structures may have forced drainage readjustments. Strike rivers, rivers exploiting structural weaknesses and rivers in sympathy with new regional gradients would have been favoured. The old river systems were probably replaces by new networks with a dominant north-south alignment. Knowledge of Tertiary conditions and events remain speculative however, and the first hard evidence of the drainage of the area relates to the middle of the Quaternary Period, less than 0.5 million years ago. On the west side of the Malvern Axis, a series of Middle Pleistocene superficial deposits have long been known to exist. These lie on or just above the floor of a major north-south orientated valley. Recent research suggests that at the onset of the cold Anglian Stage of the Middle Pleistocene, some 300,000 years ago, a major river occupied this valley – the Mathon River. This river, together with its tributaries drained a large area of north Worcestershire and south Shropshire, flowing south, perhaps as far as Gloucester. Above the river deposits are glacial lake sediments and till deposits from the base of an ice sheet. 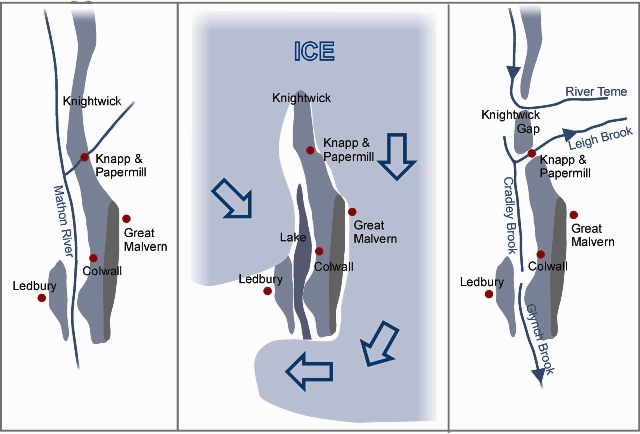 While the relationship between the two deposits is still the subject of debate, it is likely that during the Anglian glacial stage, a proglacial lake or lakes became trapped by ice in the valley. Outwash gravels from the ice sheet are found in patches in the very south of the area and nearby they can be correlated with outwash deposits from the extensive ice sheet which blanketed Severn Vale at this. Middle Pleistocene, Anglian stage ice was the last to make a major incursion into the area. Later ice advance either penetrated or halted to the north of the Geopark. Yet these later Pleistocene events had major impacts in terms of the both landforms and deposits. 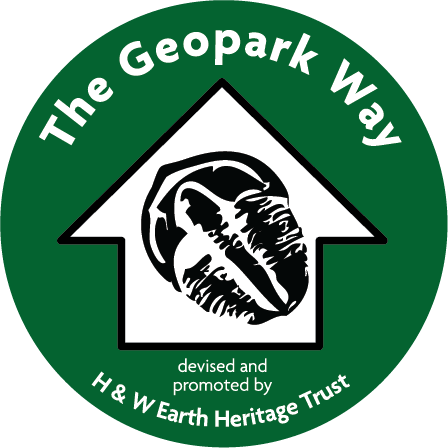 It comes as a surprise to discover that a feature as large and important as the River Severn is so recent an addition to the Geopark’s landscape. Before the final phase of the Ice Age the upper Severn flowed roughly north-east from its Mid-Wales source on Plynlimon to the sea near the present Dee estuary. 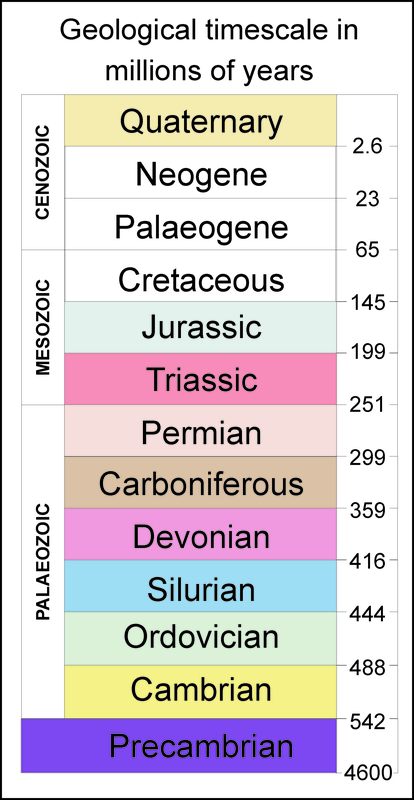 The last glacial period, the Devensian, started around 30,000 years ago. An ice sheet travelled from the north and west across the Cheshire Plain and north Shropshire coming to rest against the higher ground of the south Shropshire hills. From the front of the ice sheet poured melt-water carrying silts, sands, gravels and pebbles which spread down the shallow valley (actually the headwaters of a tributary of the River Stour) to the south. Beneath the glacier large quantities of summer melt-water, laced with pebbles, scoured networks of channels into the underlying solid rock. By 12,000 years ago the ice sheet had receded. The majority of the scoured channels became filled with sands and gravels. One in particular did not though and served as a main conduit for the large amounts of water flowing from the receding ice sheet in the area, cutting itself deeper and deeper. This channel became the world heritage site of Ironbridge Gorge, which lies 8 miles north of Bridgnorth. With the receding icesheet now blocking its old northerly course towards the Dee, the River Severn established a meandering easterly course through Shrewsbury and to the Ironbridge Gorge before turning south into the head-water valley of the the River Stour. The lower terraces of the Severn are glacial valley train terraces. The power of the torrents which deposited the terrace gravels is illustrated by the size of some of the rock fragments carried. These can be boulders of more than one tonne in weight. In similar circumstances, the late glacial River Teme was enhances and extended as a result of ice blockage in north-east Herefordshire and south Shropshire. From the middle Pleistocene to the start of the Holocene the whole area has been subjected repeatedly to periglacial processes. Although the region usually escaped the ice cover, permafrost and a tundra climate were common conditions. There are extensive sheets of local head deposits resulting from the solifluction (slow, gravity driven, movement of water saturated, and seasonally thawed material) and gelifluction (type of solifluction taking place in periglacial environments underlain by permafrost). Everywhere the head reflects local rock lithologies. Holocene deposits and landforms are largely associated with valley floor and steep slopes. Peat deposits occur in a number of valley floor locations. 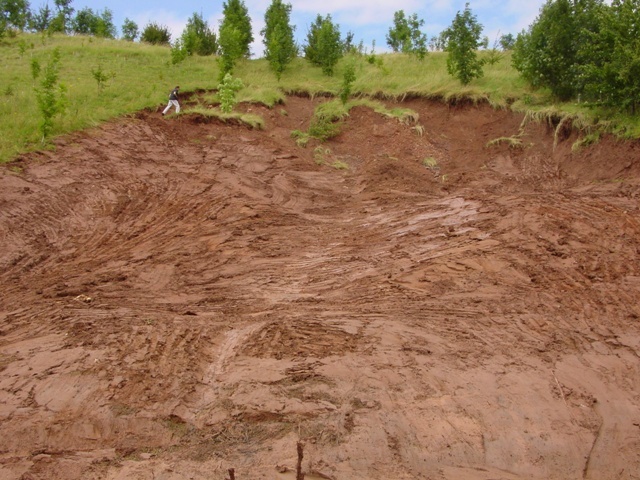 Slope failure sites are common along the hill flanks between Knightwick and Abberley, in particular on the eastern side if the Teme Valley.